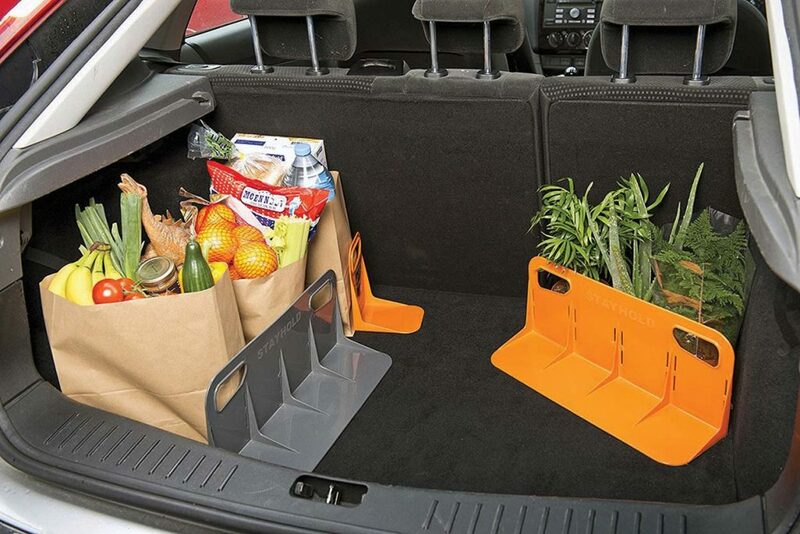 There are simple solutions to prevent your groceries, paint cans, plants and other items from rolling loose in your trunk or utility vehicle’s stowage area. Stayhold sells a variety of plastic cargo holders designed to keep all your stuff secure. The line includes Velcro-backed organizers plus straps specifically designed for carpeted surfaces. There are also similar items with ‘teeth’ that are designed to dig into rubberized floor mats. Prices start at about $8 for mini holders and top out in the $17 range for larger versions. Two, four and eight packs of each are also available. All are available at www.stayhold.com.